First People of America; Native Americans a.k.a. American Indians. First People of America and Canada - Turtle Island. Welcome to our site about the First People of North America and Canada, better known as Turtle Island. 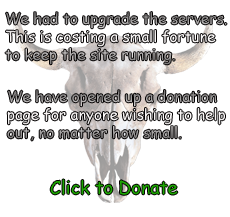 This is a child friendly, educational site about Native Americans (American Indians) and members of the First Nations. 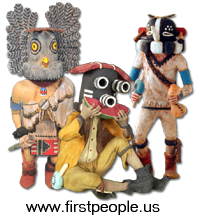 Click on my little kachina friends below to show you what's recently been added. It also contains what sections are "mobile friendly". We have nearly 1400 American Indian Legends... starting with the Abenaki, and finishing with the Zuni. Read the words of wisdom from such people as Geronimo of the Apache, Chief Joseph of the Nez Perce. Oglala Lakota chief Chief Luther Standing Bear. Hunkpapa Lakota leader Sitting Bull and many others. So far we have over 230 Native American Poems and Prayers - over 130 of them were submitted by our readers. All of the above are mobile friendly. We have a collection of shops on the site where you can purchase Native American Jewelry including barrettes, necklaces, bracelets and anklets, genuine bear claw Jewelry, turquoise jewelry, possible bags and the odd hairpipe choker or two. Other shops include Seed Bead Earrings and Medallion Rosette Necklaces by Joni Stinson. Or, there's Painted Pony who creates Dreamcatchers, Medicine Bags, Southeastern Dolls, Home Decor, Necklace Sets and more. We've made a new site called Red Path where you can purchase Native American Regalia such as War Bonnets, Breastplate Chokers, Ceremonial Pipes and a whole lot more. Looking for a treaty or an agreement? Well, we have over 400 so far with the Cherokee Treaty of 1868 being the most read by our visitors. We are sure you will find the one you are looking for. This section is continually expanding and we plan to add other categories as time permits. American Indians in various poses. More American Indians in various poses. Canoes and other sailing vessels. All creatures are sacred to the First People. Some, like the American Eagle, Wolves, Grizzly and Brown Bear, Polar Bear, American Buffalo [Bison], appear in stories and legends. So we've included some photographs and paintings of these beautiful beings. In the early 1800s, our tribe was relocated to the High Desert of Central Oregon. There were two other tribes who were placed here with us. We are now the Confederated Tribes of the Warm Springs Indian Reservation. The US government sent us here because the early settlers did not want this area. They made their homes in the rich lands that used to be ours. In 1865, we signed a treaty with the war department who now call themselves the Bureau of Indian Affairs (BIA). One of the greatest things in life is change. We had no problem adapting to the High Desert because we knew all too well that our Creator lived here, too. 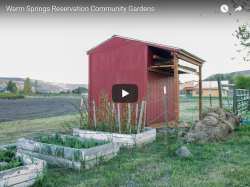 Here in Warm Springs, we have an approximate 15-20 acre community garden where all of our people, including our children and elders, have been planting their own supplementary foods. The garden is a wonderful place to come together each year, watching the miracle of seeds turn into an abundance of healthy edibles. It's almost late this year in planting some foods. Soon, it will be summer. The man who always cultivated this land for our tribe recently retired so the acres can no longer be prepared for our yearly harvests. It requires larger equipment to cultivate the many acres. We are in dire need of a small tractor and cultivator to continue on with our yearly planting. 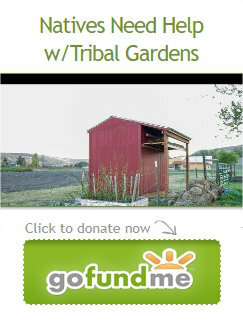 Our tribal garden could use your help. It would be a to see this labor of love between our people, continue on for many years to come. Our goal is to raise a maximum of $19,700 through a few fundraisers for our community garden. This will provide our people a new tractor and the much-needed 72" cultivator to be self-sufficient in caring for a large parcel of land. If we are unable to reach this main goal for the two larger pieces of equipment, all donations will go to the community garden for other needed tools and smaller equipment, much of which is very old and well used. If you prefer to donate by phone, feel free to call me at 1-888-590-1150. On behalf of myself and my people of the Warm Springs Indian Reservation, thank you for your consideration. Best viewed with the monitor turned on. Site made using 100% recycled web space. This site may contain nuts.